I wanted more than just his name and his dates. There's something special when a gravestone gives an inkling about the person's life, a line to two to sum up the years. Perhaps the engraved words create a sort of bridge between the living and the dead. Once or twice a week I walk to the cemetery to visit my husband's plot, tissues wadded up in my pocket to catch the inevitable tears as I kneel down to tell him how much I miss him and love him. It's been four months today that he passed from this life into the next--a long four months. And now the permanence of being alone seems to haunt me more than at the beginning of this journey. At the same time, I've found hope in the presence of a living God who promised never to leave me. Before I ordered Barry's monument, I walked up and down the paths between the stones, reading the names and dates and searching for inscriptions that said a little something about their untold stories. I didn't find many. Only a few had verses. One had a word puzzle. Many displayed hearts and crosses. How do you summarize a life? What's left after you boil it all down to one or two lines to etch into a piece of granite? How does a family sort it all out and decide just the right words? Barry had a love of learning that still baffles me . . . languages, philosophy, history, math, health, gardening, investing, sports, religion, politics, the arts, and on and on. He also loved God, "the Creator and Sustainer of the universe." And growing out of that relationship, he took time for others. Time to listen, encourage, help, offer sound counsel, give of his resources, and nurture their gifts and passions. I think he had it right, don't you? 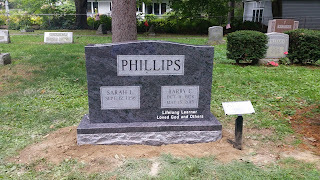 It's a bit sobering to see my name beside Barry's, already indelibly etched into the stone. I wonder what will be engraved beneath it someday. On my walk home, eyes still moist, I remind myself that ending well starts with the present. So . 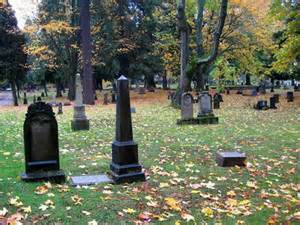 . . what epitaph would you like to have on your headstone someday? 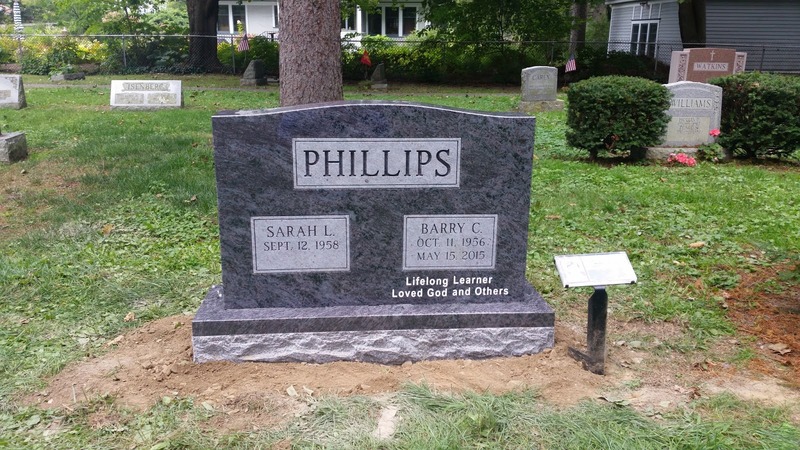 Sarah, tears came to my eyes as I read this blog, reminding me as I start my day that this present physical life is the beginning of eternal life. Living with a mindset focused beyound the grave enables me to live as Barry did. Loving God and loving others. May I pursue being a life-long learner in these. Thank you for being honest thru your grief. A hug extends across state lines! Bless you, Gail. I think of you and pray for you when I go to the cemetery as I met you and Mark there walking early one morning this past summer. Good memories . . . Miss you. Hugs back. Sarah, thank you for this beautifully written post. As writers, we're constantly weeding out extraneous words, endeavoring to say a lot with a little. The six words you've chosen for Barry's epitaph do just that. Your exhortation that "ending well starts with the present" speaks loudly, reminding me that I only have today to love God and make a difference in others' lives--just as Barry did with his days here on earth. Thanks, Vi, for your thoughts and prayers. Beautiful Aunt Sarah! Love you!